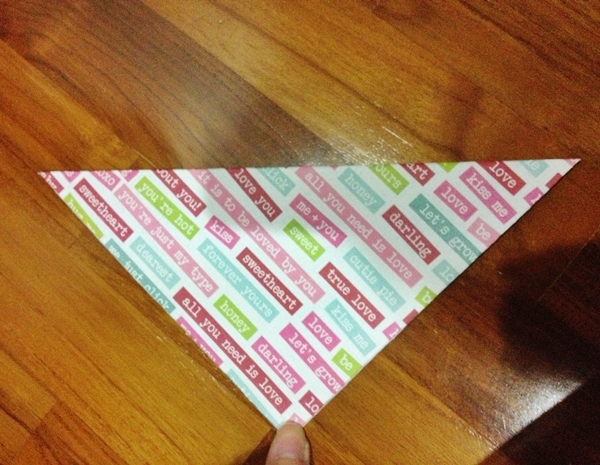 One of our decoration will be pinwheel. As you know, our solemnization will be SCHOOL THEME. So pinwheel is something not to be missed. 4. 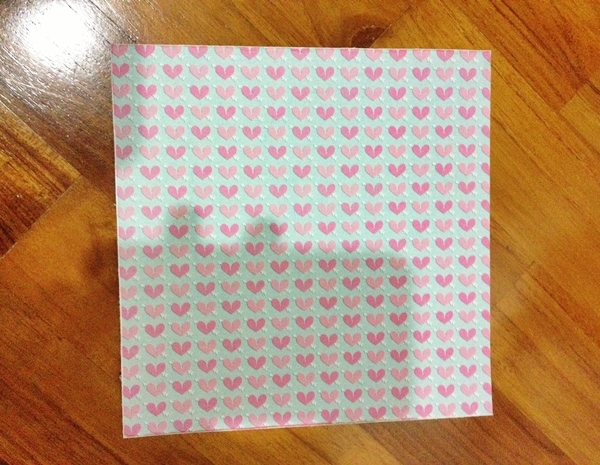 Paper (It can be coloured paper but note: it has to be a square) I got these papers from Spotlight. 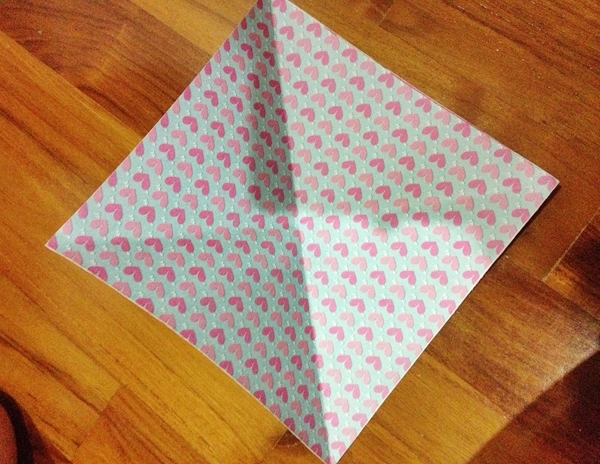 Step 1: Cut out the paper if you are using the same as mine if not, a square paper will do. 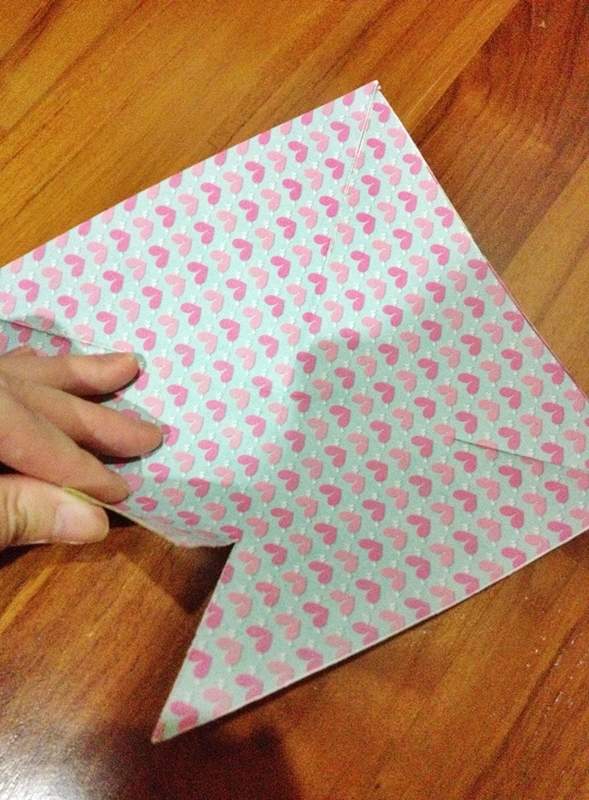 Step 4: Use the scissor/penknife to cut the "imaginary" line towards the center of the square. It should stopped at approxiately 1/4 of the center. 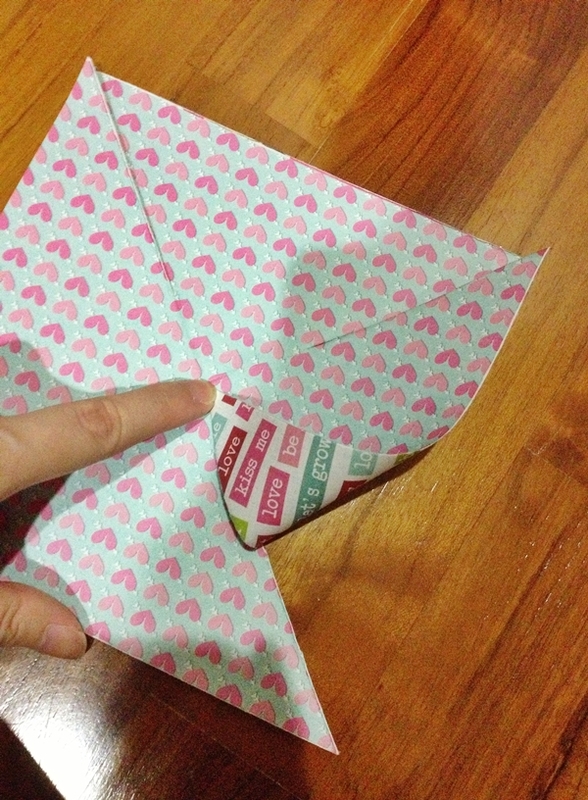 Step 5: Bring all the 4 corners to the center of the square. Match up the holes and secure into place by pushing a thumbtack through the holes. 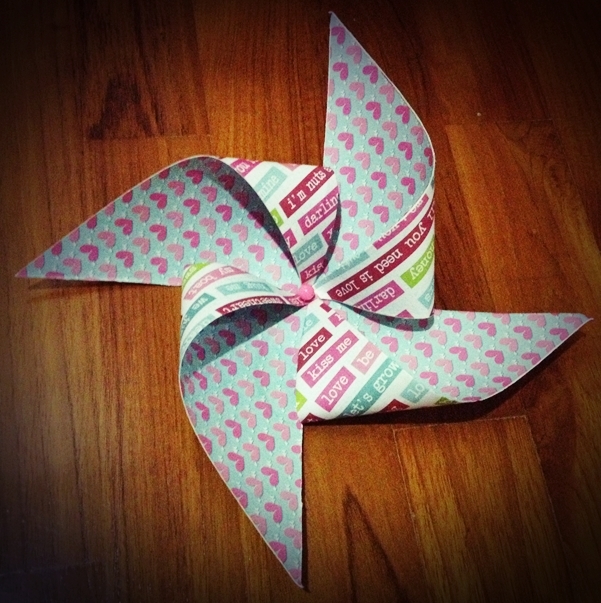 Step 6: And tadah, here is your pinwheel. 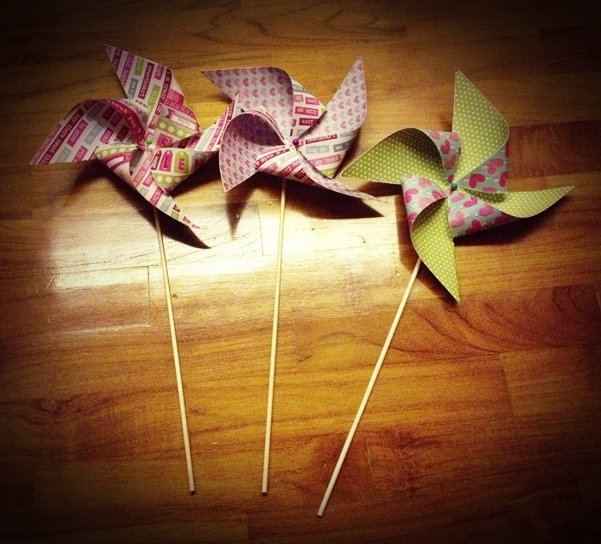 You can have pretty pinwheel for your solemnization too! 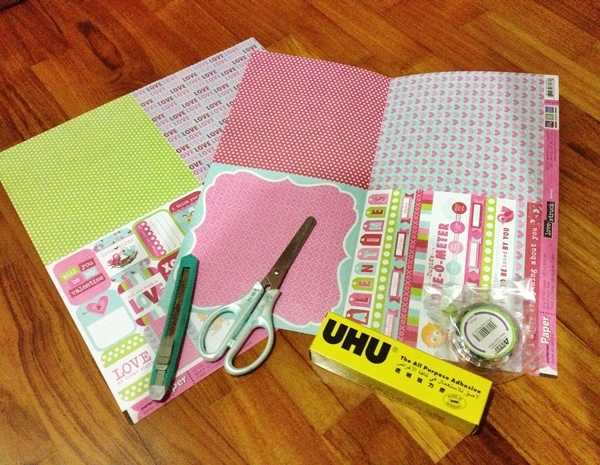 Hi Kay, more DIY coming up! Stay tuned!